As we approach a busy holiday week, part of a busy holiday month, we want to say thank you to every stitcher, crafter, designer, teacher, retailer, manufacturer, distributor and more — all of the wonderful people we have met and worked with this year. You inspire us with your ideas and creations, and we love making threads for you. The Kreinik thread factory will be closed from December 22 to January 1 so that our family and staff can enjoy time with their friends and family. We will reopen January 2. 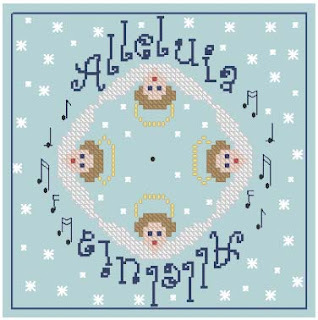 In the meantime, enjoy this free Angel Biscornu patter, courtesy of the design team at Praiseworthy Stitches (http://www.praiseworthystitches.com). We haven't had time to stitch the model yet - perhaps we can get a little stitching done during our holiday break. 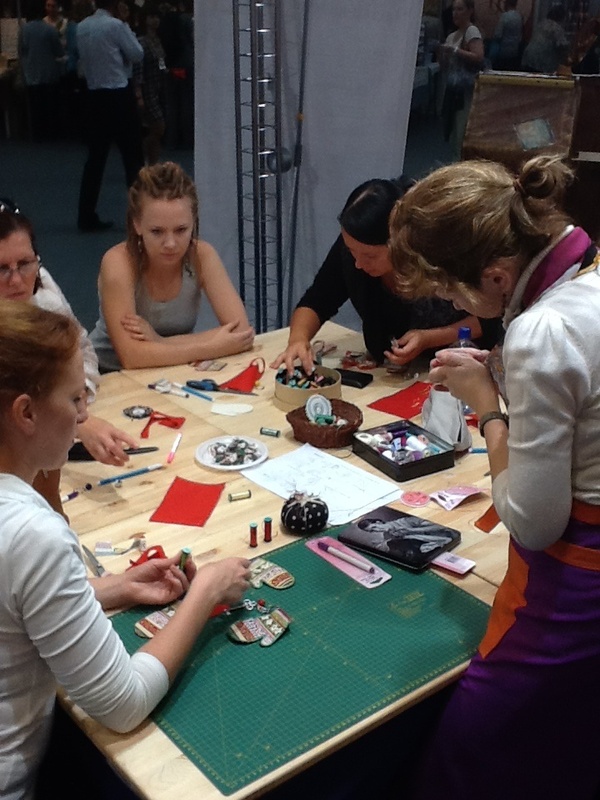 One of the benefits of being a thread maker is that we get to meet creative people every day. To see what a designer, teacher, stitcher, or retailer creates out of our thread and their chosen medium…well, it excites, inspires and motivates us here at the Kreinik thread factory. We recently met fiber artist Meg Chobanian through a mutual friend, Pamela Armas. 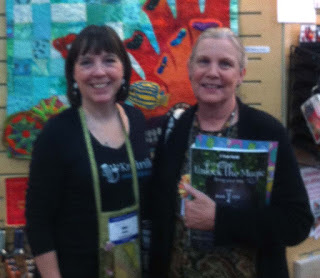 Pamela is an amazing, creative person herself, running a doll pattern and fabric business, Treasures of the Gypsy. 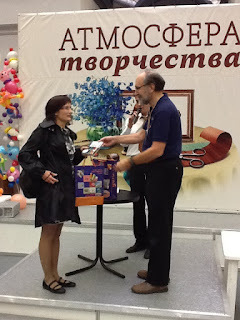 The Gypsy Doll Challenge is a main, annual exhibit at International Quilt Market, and we have been a sponsor for many years. 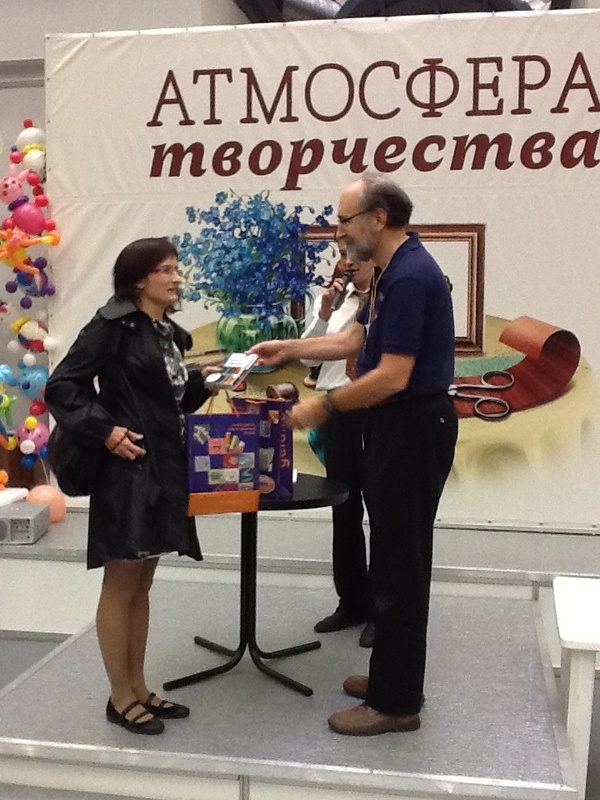 We love working with Pamela's doll artists and exhibit many of their creations in our booths. When Pamela put us in contact with Meg Chobanian, we immediately wanted to tell you about this unique fiber artist. First, take a look at the photo galleries on the web site: http://qexpeditions.com/photo_gallery.htm where you will see playful imagination combining color with dimension. One of Meg's themes is to create designs that speak to some childlike part of each viewer, and you can see that wonder and delight in many of her creations. “I began making doll clothes as soon as I could cut fabric and hold a needle," Meg says. Her grandmother was a turn-of-the-century couturier and her mother was an expert dressmaker. Clearly, she was bound for a creative, textile life. "I was off and running when I found my first book about quilting. And that has led to art quilts, surface design experiments, teaching, designing and a thread oriented way of life," she adds. Currently she is focusing on using fabric and fibers to create tactile art "somewhere between painting and sculpture." That sounds exciting, and we can't wait to see what Meg creates next. We are excited to show photos of these unique dimensional ornaments Meg created for our exhibit at Fall International Quilt Market. They feature Kreinik Iron-on Threads and fabric as a sculptural ornament, rather than a flat, pieced piece. Imagine the creations twirling on your Christmas tree, twinkling in reflection of the holiday lights, fun, playful, child-like. You can almost sense a blend of ages: a child's wonderment with a fiber artist's craftsmanship. After 40 years of making threads, we are still learning. Just a few weeks ago, we were so excited about a new specialty item we could bring to you, Conductive Fingertip Yarn. We posted a project online, wrote a blog, shared it on Facebook and Twitter, and started using it ourselves, excitedly making our own gloves conductive. Then a smart stitcher showed us that our normal line of Kreinik Metallic Threads can actually be conductive. No need for a specialty thread - just look in your stash! No need for a drab gray fiber - pick coordinating colors! We started testing, and it's true. You can make gloves conductive by adding a "pad" of stitches on the fingertips using Kreinik Metallic Threads. So far in our testing, there are some colors that don't work. However, a bunch of them DO work. Now we are addicted to making gloves conductive using MATCHING thread. With 300+ colors of Kreinik Braids, there is a color to match or complement every glove design. You can be technology ready and fashionable. In our testing, the holographic colors worked really well (these carry an "L" after the color number). The pearls and gourmet colors didn't work. We suggest you do some testing with your desired color first, before stitching your project. We like the Fine #8 Braid or Tapestry #12 Braid size for stitching on gloves. If you are crocheting/knitting gloves, we suggest overstitching the finger area to create a pad of solid surface. That connects well with the smartphone/tablet surface. If you want to use the metallic as a carry-along, work a double strand into the fingertip area, and make sure the thread appears in as much of a dense, solid surface as possible. 1. Insert a "darner" or object like a Sharpie pen into the finger to create a sturdy filler. 2. Using Fine #8 Braid and a #24 Tapestry needle, or Tapestry #12 Braid and a #22 Tapestry needle, knot one end of the thread. Put your needle at a starting point, and pull the knot through to the inside (you may need to wiggle the glove fibers a little bit to get the knot to the inside). Begin stitching a pad of straight stitches on the fingertip area. Use satin stitch or straight stitch. 3. When stitching is finished, stitch a little knot and pull the thread to the inside of the glove. Trim off. We want to emphasize the fun part here: we have so many colors in our Braids, you can match the conductive fiber to your gloves, or coordinate with your favorite knitting and crochet yarns. We are so excited about this new use of Kreinik metallics. We've just fallen in love with our threads all over again. P.S. We are also excited about our new Reflective Yarn, which reflects light from camera flashes and headlights The 25 Days of Free Christmas Projects calendar features a knitted hat and wresters project using the yarn. Click here to check it out. 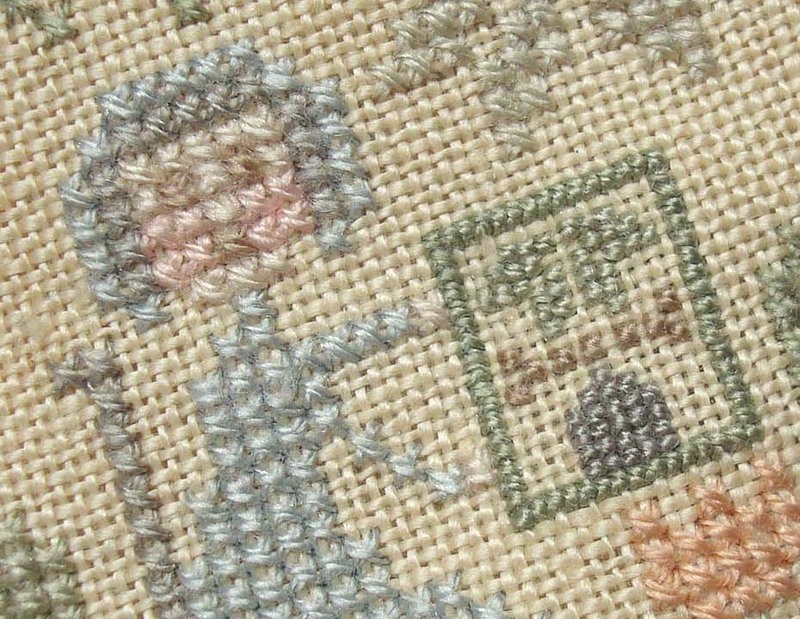 Needlework friends quickly become like family. I can't explain it, but perhaps you know it too. There are many common threads that bind us together. In my 16+ years working with needlework designers through Kreinik, I can honestly say each one stands out as creative, unique, fabulous, and fun, leaving their own stitch on the tapestry of this world. When one such friend from my early days with Kreinik called recently about a new project for 2013, I was instantly excited — because I knew her; I knew it would be creative, fun and fabulous. Nan Baker of Purrfect Spots is a cross stitch designer who created one of my favorite all-time designs: Cat Burglar (you can find the pattern on her web site www.purrfectspots.com). I am a cat person, so I loved the humor of the design. It also used Kreinik thread and it became one of the best-selling reasons for a stitcher to buy thread. 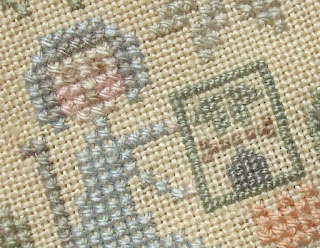 As most creative people do, Nan expanded her talents to designing needlepoint as well. It was always exciting to see the newest Purrfect Spots By Nan design release. As most needlework designers do, Nan had a non-needlework-related full-time job. She was an animal advocate, but specifically, an animal disaster specialist. She introduced me to the pet-loss support program Rainbow Bridge, and shared tales of her travels to disaster areas to take care of the displaced animals. Yes, when a hurricane, tornado, fire or flood hits, animals are in trouble too. They are separated from their owners, their fenced yards are suddenly unfenced, they may be hurt, they may not have food or water. As a member of the Disaster Animal Response Team for the Humane Society of America, Nan went to the disaster areas (you know, the ones you hear about on the news), herding horses, arranging shelter, and reuniting pets. Through Nan I saw the news from the animal perspective. 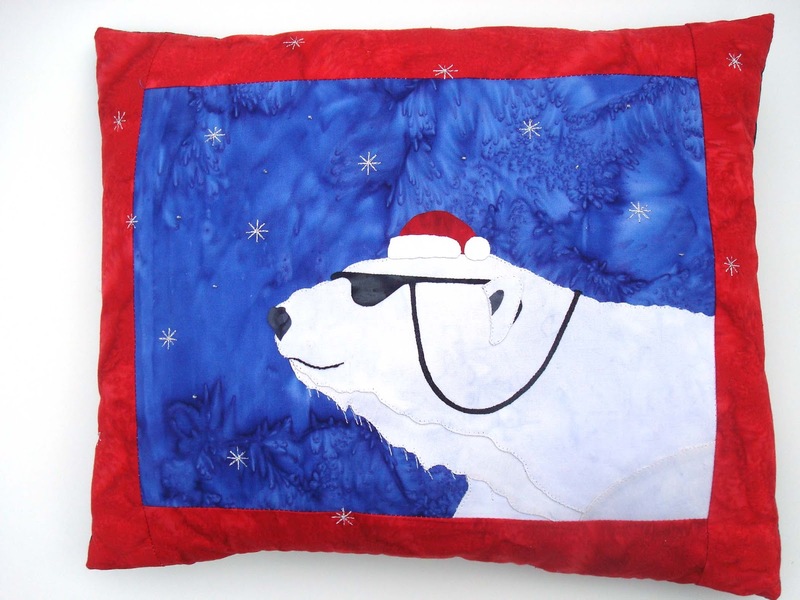 The fabulous design pictured in this blog is Nan's Cool Yule pillow featuring a Will Bullas polar bear. It is just about as fast and easy as it can get: fusible applique, Kreinik Iron-on thread for embellishments. It was published in the November 2012 issue of Quiltpattern Magazine. Run to the site www.quiltpatternmagazine.com and subscribe; you will get a link to the current issue (a beautiful, colorful, project-ful 58 pages of quilt goodness). Right after Christmas, the block-of-the-month featuring the Bullas Bears will start in Quilt Pattern Magazine. I've seen the quilt; it is a design that men, women, kids, teens, and all ages will love. It will be worth your creative time. One other message from Nan: The Quilt Pattern Magazine has joined with Petfinder.com to help the animal victims of Hurricane Sandy. It's not just money that is needed; the kennels need blankets and quilts to help keep the animals warm in shelters. All the details are here: http://www.quiltpatternmagazine.com/program/KennelQuilt/. Nan told me, "Please help get that word out. For one of my Christmas gifts, my friend made 3 quilts in my honor to send to the shelters. I was thrilled. Best present ever." This is a perfect time (pardon me, "purrfect") to start your next project as an animal disaster relief project. Gather your friends and make blankets together. Here's a Thanksgiving toast, to the warmth of friendship, needlework, quilts, and helping others, pets included. I'm thankful for new beginnings too. From small beginnings come great things. ...Kreinik! We are so excited: Kreinik Manufacturing Company won the Small Business of The Year Award presented by the Mid-Ohio Valley Chamber of Commerce at a ceremony last week. Doug Kreinik accepted the award, an honor that makes us proud especially since we just lost the company's co-founder, Estelle Kreinik, who passed away October 30. The company is in good hands with Jerry and Estelle's son Doug. We appreciate the award recognition, as bringing business and growth to the mid-Ohio Valley region has always been a goal. We are proud to be based in Parkersburg, West Virginia, with our threads made in the USA. 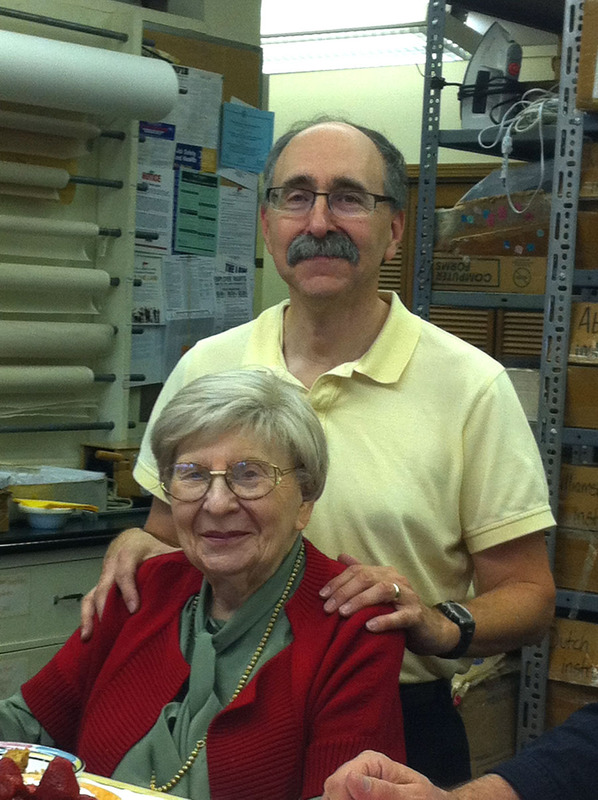 Kreinik Manufacturing Company began in 1972 when Jerry and Estelle Kreinik started selling portable cases made by Estelle to hold threads, needles, and stitchery projects. They went on to carry silk and metal threads, then started actually making metallic threads to be used in hand and machine embroidery. One thing led to another, and production moved into a former church building on the south side of Parkersburg. 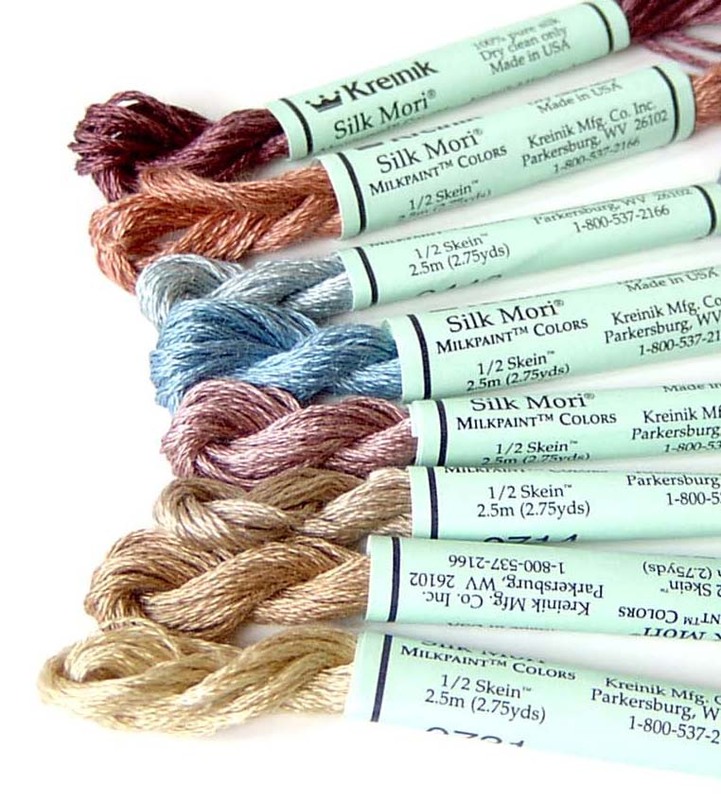 Over the years, son Doug Kreinik has added more colors of Kreinik Blending Filament, Braids, Ribbons, Silk Mori, Silk Serica, Silk Bella, Metallic Machine Sewing Threads, plus needlework tools and embellishments. 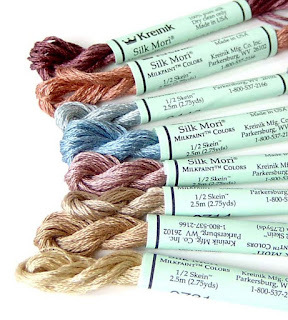 You can find Kreinik threads and products in retail stores (http://www.kreinik.com/store_locator.htm), online stores (Search Kreinik on Google), and on www.kreinik.com. A super mom that is what we lost. An educator, entrepreneur, inventor, manager, mom, grandmother, friend and a very strong independent woman. She taught us that you could do anything, be anything, and make a difference. She would ask, "What is the difference between hot water and steam?" The answer: one degree. If you make life one degree better for the next person, you will make a difference. She approached her teaching, her business and her life in that way. She was a woman of determination, believed in a diverse environment, and loved to cook ethnic foods to find out what made the stomachs of the world happy. She took classes in history, language, bread baking and knitting. Estelle was fluent in French, studied art and loved textiles. 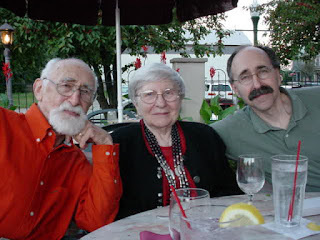 Born in New York City to the late Dorothy Friedman Stack and JB Stack 94 years ago, she enjoyed the community of many cousins, aunts and uncles. She married Jerry Kreinik and loved him for 65 years. 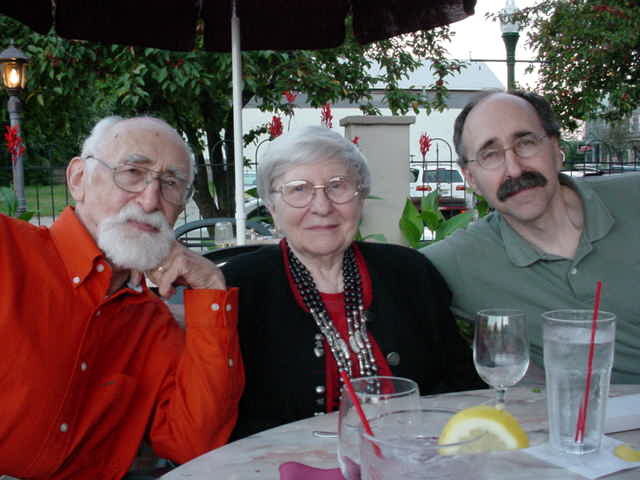 They had three sons: Ted married to Arlene (Connecticut), Douglas married to Myla (Parkersburg ), and Andrew married to Jacqueline (Baltimore). Estelle and Jerry were proud and often amazed at the effect of their business ideas. Kreinik Mfg, the business created out of desperation because of lack of work, became the industry leader espousing the use of silk and metallic threads in embroidery and stitchery. She was always willing to help friends and associates make their businesses and the industry better. 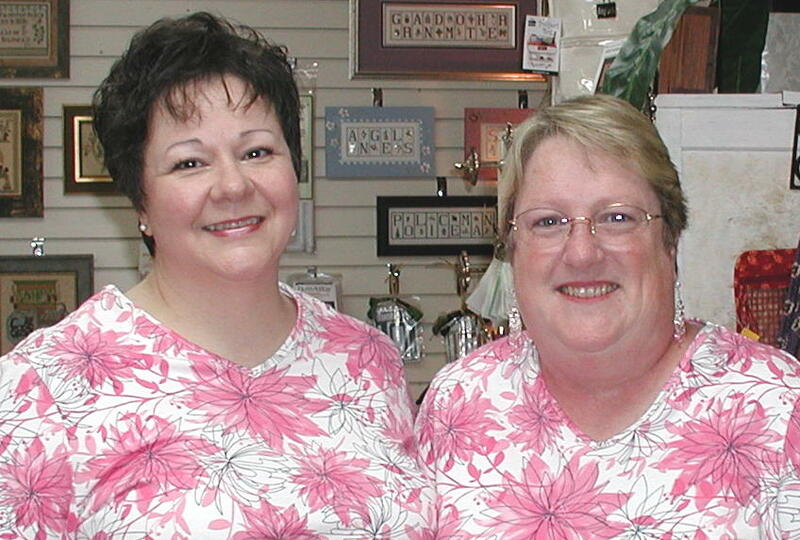 They won many awards including the much coveted TEN (The Excellence in Needlework Award) from industry members. Estelle created the first needlework organizer on the market as a solution for the problem of her threads being all over the car when traveling. She used all of her learnings in clothing, language, accounting, customer service and leadership to make a difference in the family business. In her move after Jerry's death, people were amazed that a woman 93 years old would just up and leave to live in an independent senior village in Baltimore. But Mom thrived there. She met men and woman whose lives had made a difference and who were diverse. The residents as well as the staff loved her. She told me in her last days that there were a few things in life that she regretted. 1. That of not convincing Jerry to move to Broadmead in Baltimore five years ago where she had spent a wonderful year. 2. Having missed the big "barn sale" at the senior village were she was looking forward to getting some good deals, and 3. Not being able to vote on election day with her lady friends. She felt very strongly about the right to vote. 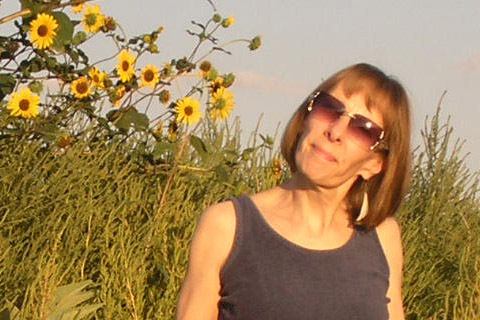 She loved life and loved her grandchildren, Julie, Danielle and husband Jon, Charles and Zach.